So why are Knights fans so mad online? 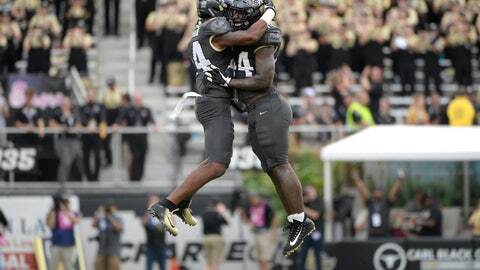 On the latest AP Top 25 College Football Podcast , Matt Murschel of the Orlando Sentinel joins AP’s Ralph Russo to talk about UCF’s rise to prominence and how this year’s team stacks up to last year’s unbeaten squad. Also, a whip around the state of Florida football to assess the damages at Florida State and Miami and how they can be a boon to Dan Mullen and Florida’s Gators. Plus, playoff talk: Should Alabama reach the final four without winning its conference championship?